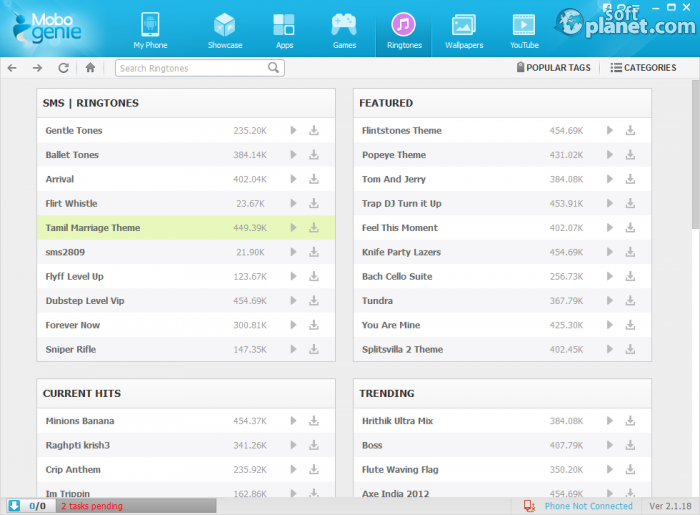 SoftPlanet makes it possible for everyone to get free Mobogenie download directly from our servers. There is no registration needed for downloading. Mobogenie 3.3.3.45783 offers to do what is usually a tiresome and slow task – to manage your phone. The difference that comes with this free app is that you can do it from your computer, which is much faster. This way you can enjoy the speed of download from your PC, which of course is a quicker process than the one done with your phone. The app also offers free programs that can be used by your phone and some other options that make it preferable by most smartphone users. There are many features that deserve attention, but one of them made us enjoy the program. With Mobogenie you can download ring tones, and one of them was the all favorite “Minions Banana”. It is a very funny ring tone that will make everyone laugh. Besides that fun function you can also manage your contacts which is done in the easiest way possible and this function will help you a lot in adjusting your phone. 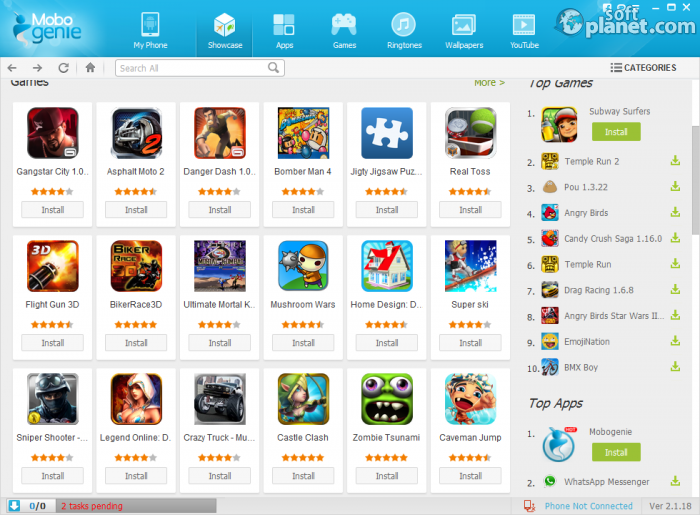 The interface is one of the things that make Mobogenie much more changeable than your phone is. The app has tabs with which you can scroll between different tools, like My Phone, where you can edit your contacts, SMS, apps, music and other parts of your PC. You can also back up your settings and content, ensuring that you will be able to recover your content if there is a catastrophic failure. The other tabs give you enough tools to download what you like or you want to have. 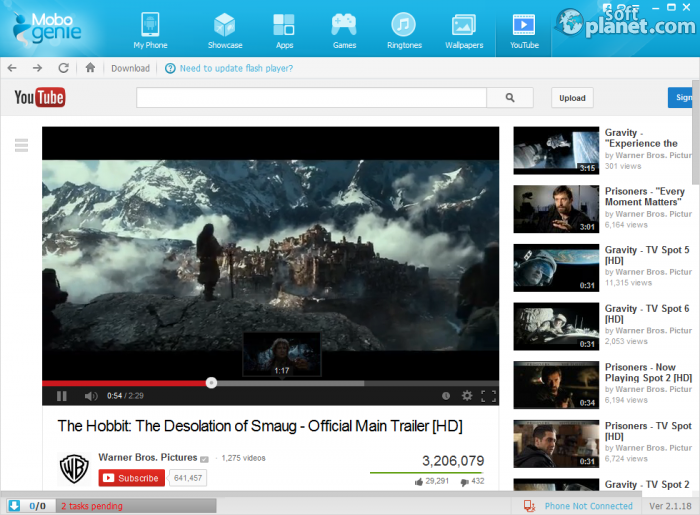 The trailer of “The Hobbit: The Desolation of Smaug” is a nice example. Downloading with Mobogenie 3.3.3.45783 is done in the fastest manner, you can make a collection in this way and keep it on your hard drive, which is much larger than the memory on your phone. Of course you can manage the collection that is already on your phone, making the app the universal manager of your phones. That fact is expanded even more with the selection of files that you can download, which is enormous. 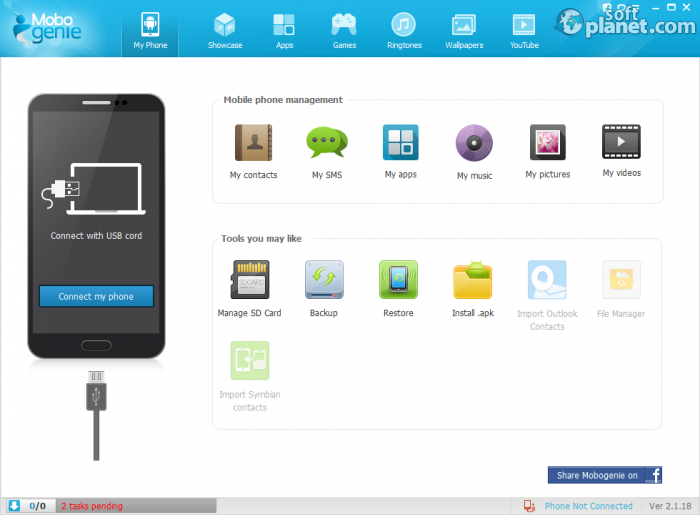 We really liked Mobogenie, as the program can manage all the functions of your phone. It also offers a lot of free content, that will be enough for you, but if this is not the case, then you should keep in mind that with this awesome app you can back up your phone, saving you a lot of trouble. Our security scan shows that Mobogenie is clean from viruses. The current version of Mobogenie has been scanned by our system, which contains 46 different anti-virus algorithms. 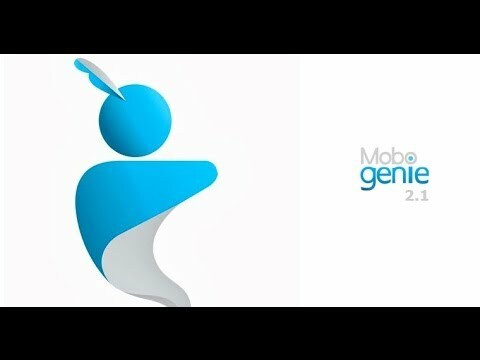 That ensures that Mobogenie 3.3.3.45783 is 100% safe for your computer.